*Note- This is a review of the single disc version which is jus the new material, there is also a two disc version where the second disc is rehearsal songs done before a show in 2015. Cleveland's Midnight returns under leadership of their main man the hooded Athenar. This band has been around for almost a decade and a half and have a number of releases once you add up all the singles and split albums with other artists. This release isn't anything you haven't heard from this act as they've hid the fact they love NWOBHM and very early black metal and early thrash. In fact they wear the old style metal badge high as they race through these tracks evoking in me memories of listening to Venom, Kreator, Sodom and others thirty some years ago. I knew pretty much what was coming with I started this album up. Yet that didn't deter me from enjoying the whacky charm of this I love Satan kind of material and the just charge ahead music. Athenar is obviously a fan of this kind of music he likely first got into and he's doing a good job of honoring this style with his version of this simple yet explosive old school metal. Rabid! and Poison Trash may have been just two of favorites but to be honest the whole album had me wishing I still had hair and my old patch covered denim jacket. Yes, I've heard much of this before but that doesn't away from it being a fairly well crafted piece of 80's inspired metal. Wanted to get one of these in before Halloween. Need to find something because I just finished something for work that had me reading assigned stuff for a while. Feel free to add your lists in the comments! Mandragora is a five-piece traditional heavy metal band from Nuevo Chimbote City in North Peru/South America. The group was formed in 2007 by bassist Jorge Mandragora and lead vocals come courtesy of Fatima Natthammer. The full-length "Waves of Steel" serves as the band's debut album and it sports a sound that is equal parts N.W.O.B.H.M. (especially Iron Maiden! ), classic metal, and power metal. While it is nothing particularly groundbreaking, "Waves of Steel" does have it's moments as it points towards bigger and better things to come for this female-fronted metal band. Speaking of which, lead singer Fatima Natthammer is a bit hit or miss when it comes to her vocal delivery. When she sticks to singing everything is fine. The problem is her shrieks are painful. We're talking nails on a chalkboard bad here folks! With some professional training she could easily fix the issue, but we will just have to wait to see if that happens. Ultimately the grades break down like this. Musically this one gets a B. Vocally it is a C.
Professor Emeritus is a relatively new metal band that hails from Chicago, Illinois and is fronted by MP Papai (Moros Nyx). The well-crafted "Take Me To The Gallows" is the group's debut album and it is due to drop of November 13th, 2017. In addition to lead vocalist MP Papai (a talented if high-pitched singer that equally reminds me of Ronnie James Dio and Metal Church's David Wayne! ), "Take Me To The Gallows" features the skilled performances of Lee Smith (guitars, bass), Tyler Herring (guitar), and Rüsty Glöckle (drums). These three musicians have played with the likes of Satan's Host, Tiger Fight, and Moros Nyx. Given the wide array of influences on this seven-track album it sure as hell seems as if the group is being haunted by the ghosts of some of these past bands. Naturally I mean that in a good way. 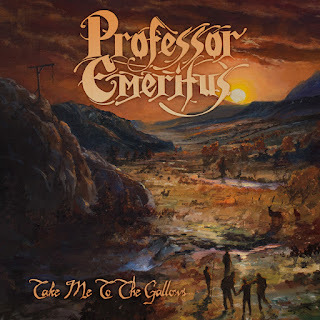 Opening up strong with the epic and gritty doom metal that is "Burning Grave", "Take Me To The Gallows" (which was actually laid to tape between September 2014 and December 2016, but for whatever reason it is only now being released) finds Professor Emeritus experimenting with all of these different genres of metal. Not only do we have traditional heavy metal, doom metal, and epic metal on this band's debut, but shades of dark metal, classic heavy metal, cult metal, and N.W.O.B.H.M.! For the most part this is a fairly successful formula. The only real downside comes from the fact that there seems to be a lot of recycled riffs going on. You could chalk that up to the disc's doom metal elements (especially seeing as doom metal can be occasionally monotonous if not done correctly) or maybe it is just the curse of debut albums. Whatever the case might be with this Chicago metal outfit, "Take Me To The Grave" has a few flaws when it comes to the structure of some of the songs. Does that make this album a dub? As I already hinted at this is a great sound and style for Professor Emeritus so the answer to that question is a clear "No". The recycled riffs might knock this recording down a notch, but it is still a damn slick debut and one that I would certainly recommend. 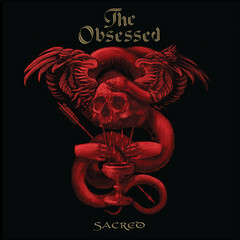 Anyone that loves heavy metal /doom metal albums should give this one a spin. The same goes for fans of hard & heavy epic metal. With one good album down and a waiting and willing scene that will more than likely embrace this lot, "Take Me To The Gallows" makes me want to keep an eye out for this Chicago band in order to see just how far they will go. Reading-A bunch of stuff for work. What are you listening to, reading or watching? I remember hearing Gwar's Hell-O way back in 1988. My first impression hey they look cool like a cartoon come to life, but the music for me was just not nearly as exciting. Living not far from the DC/Virginia are I knew a number of people who saw them live and they'd go on about the live antics of the band. When I'd ask about the music the responses weren't as enthusiastic. I guess I have not been terribly enthusiastic about their music over the years, but they've had moments here and there for sure despite the fact that their image and live shows have always overshadowed their music. It's been over three and a half years since Dave Brockie (Oderus Urungus) passed away from an overdose. Although the band kept playing shows after that this is the first album since his passing. 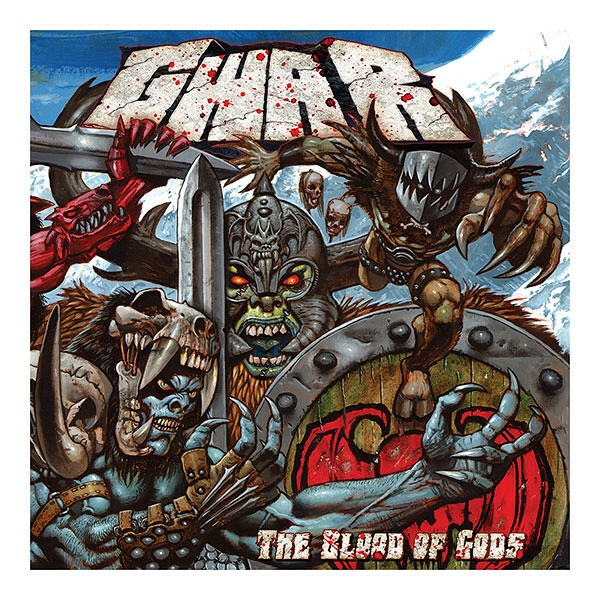 After listening to the album twice it's obvious that not even death can truly stop Gwar from marching forward into battle and assaulting our ears (in mostly a good way). The band is now fronted by Bothar who is actually Mike Bishop who was previously in the band for two stints as Beefcake the mighty. So he is no stranger to the band and what they are about and just plugs into the spot rather well considering he has rather large battle armor to fill. For the most part he and the rest of the band really deliver a strong offering. The sounds is somewhat different just because of the vocals, but by the second time around it was not only growing on me but I was actually pleased with the results. Could have done without the AC/DC cover at the end I think it took away somewhat from the momentum they were building prior to that, but that's a small complaint. Gwar fans may take some time to warm up to the new album, but it's worth the time to try and get into it. While on stage the blood may be fake and the guts may be made of rubber that doesn't take away from the solid effort that Gwar put forth on their new album. 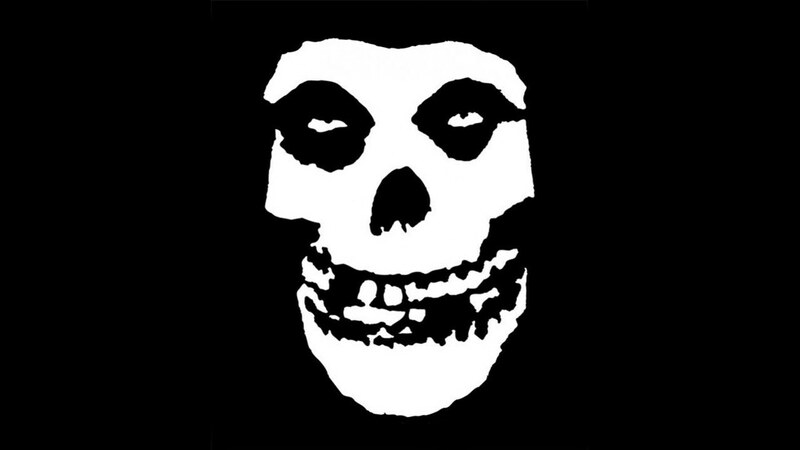 I don't know about anyone else, but when I hear the the phrase "poison heart" I can't help but think about The Ramones. Written in 1992 by bassist Dee Dee Ramone, "Poison Heart" is dark and depressing look at the uncaring world that is all around us. It has a simple yet haunting chorus that I can't help but sing as the tragic nature of life unfolds before my eyes. There is no way to know whether or not this Italian four-piece band named themselves after the poignant Ramones' number, but it sure does seem as if this hard/heavy rock group is looking to make the phrase their own. All it takes is one spin of their full-length debut here and that much is obvious. There is a strong and confident vibe at the center of this band. In spite of the many line-up changes and the long time that it took to put out this album out it is there and it is obvious. Having first formed back in the second half of 2000 as a classic glam/punk rock cover band, Poisonheart-Fabio Perini (lead vocals, guitar) Andrea Gusmeri (lead guitar, back-up vocals) Giuseppe Bertoli (bass, backing vocals), and Francesco Verrone (drums, backing vocals)-has come into it's own on "Till The Morning Light". These days the group has all but dropped any sign of their punk rock roots. In it's place we have groups like Kiss, The 69 Eyes, and W.A.S.P. Add in the living legend that is Alice Cooper and you have a nice starting point of reference when it comes to this dark and slightly-edgy recording. 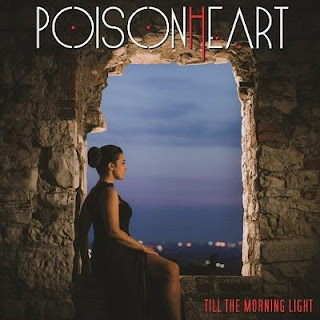 Of the ten tracks on Poisonheart's debut, "Anymore" (see the video here ) was the first number that I heard and it makes for a great single. While it remains my personal favorite of the bunch there really isn't a bad track to be found on "Till The Morning Light". That says a lot about the talent of this hard rock/dark rock and roll outfit. Due out later in this month, "Till The Morning Light" shows off the impressive skills of this four-piece band that went from playing covers to performing original material. It will be really interesting to see where these guys go from here. When I'm deciding what to review some times it's a band I've heard of or a label I know that has done a number of good releases. In this case I see the cover art looks like a 1980's t-shirt design and the band has a reptile name so I know that I have to check it out. Lyzzard hail from Portugual and before spinning this one I figured it was going to transport me back about three decades or more. The results? Yes, indeed this is very much mid to late 80's style metal. Much of the music reminds me of Running Wild before they were full blown pirates and Grave Digger before they got all semi-historical and perhaps toss in a few pinches of Grim Reaper and Judas Priest guitars bursts. The music just keeps punching away with each track. I kept expecting one or two more mellow tracks, but that never came about. Instead the album seemed to pick up the intensity as it went along. The vocals are slightly high pitched, but clean and they certainly compliment the hard-driving music. A number of bands today that play 80's style traditional metal tend to fall into the trap having a number of songs that sound very much the same. It pleases me very much does not fall into that trap at all. In fact each song has it's own personality and for most of the songs the band sets each song apart the next rather early into each track. While anyone can sound a certain way, but what really matters in the excitement for what you and that's something that shines through on every track of this album. 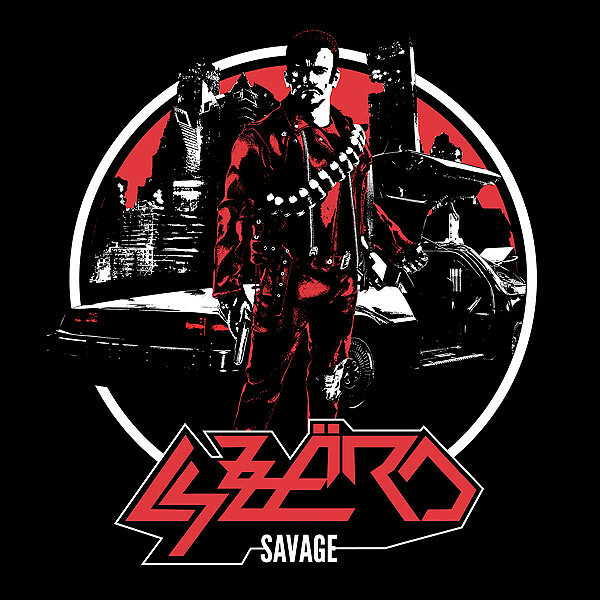 Lyzzard are excited about the music they have created and they should because this a very impressive album. Formed from the ashes of Ohio’s own The Approach and the Execution, Till Death is a four-piece heavy rock/metal band from California that is starting to make a name for itself. The group is lead by vocalist/lyricist Mike Notte* and in addition to being a finalist in The Battle For Warped Tour 2017, Til Death was recently featured in Alternative Press magazine as part of the "10 up-and-coming heavy bands that you need to check out". Skilled-musicians Dalton Jamies (guitars), Nick Kozono (bass), and Travis Knalson (drums) round things out for this modern and fresh outfit that is is everything that one could hope for given the group's background! Produced, engineered, and mixed by Charles "Kallaghan" Massabo, "Photographs" is the strong studio debut for this talented young act and it was just released last month. Til Death's first release is a EP that includes not only the deeply-personal and reflective title cut, but the songs "Never Be Broken", "Ghost In Old Sin City", and "For The Wolves". 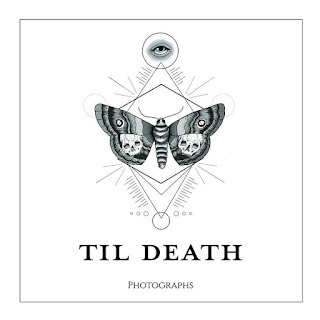 Aided by guest members of the French outfit Ze Gran Zef (backing vocals), Chris Westfall (guitar solo on the title track), and producer Charles "Kallghan" Massabo (additional guitars and synthesizers), Til Death has crafted a rich and rewarding debut that is bound to turn more than a few heads. 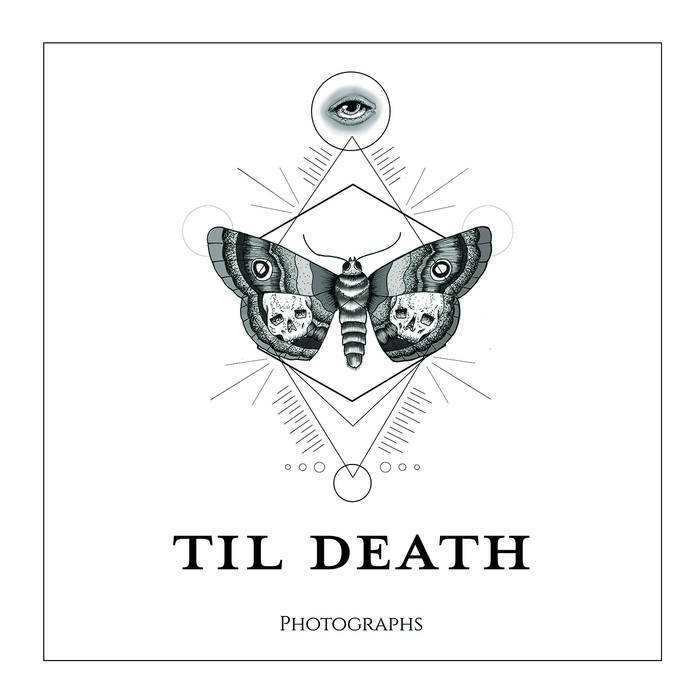 Thanks to influences that seem to run the gamut from (street fighting) hard rock to (alternative-tinged) hard and heavy modern metal, “Photograghs” should also appeal to a wide range of tastes! Strong songwriting and impressive performances from all of the musicians helps make this EP stand out from all of the competition. It will be interesting to see where Til Death goes from here, but as far as debuts go you could’ve ask for anything better than this. *The clean and crystal clear vocal delivery of front-man Mike Notte is a real bonus. This is a one man project and that one guy is Jo Capitalicide (formerly of Iron Dogs, Trioxin 245 and a number of other bands) as he handles vocals and all of the instruments. 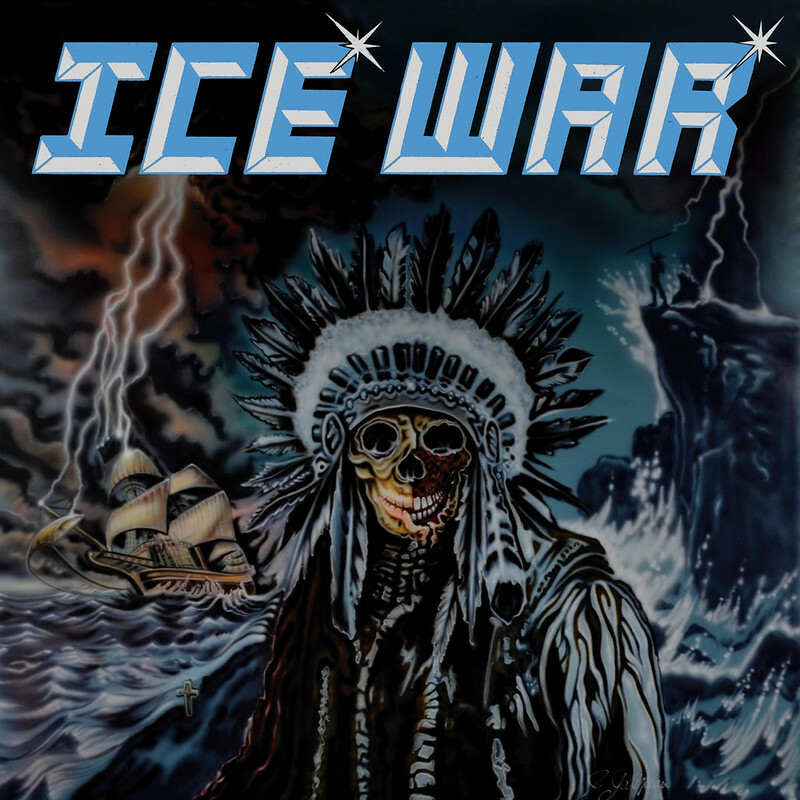 Ice War have previously done an EP and a few singles so this self-titled release marks the first full length effort from this Canadian band. Right away the opener Battle Zone sets the tone with some driving riffs that are throw back to a few decades ago in the early 80's when metal was raw and that was fine. A few more songs in and the galloping guitar style continues and the tempo changes are handled masterfully. 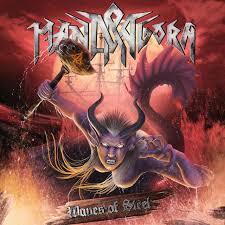 A few songs remind me in parts or of a number of NWOBHM acts including Jaguar, Savage and yes, Dianno-era Iron Maiden. With only eight songs in my mind an album needs to really hit on almost all of them for it to be really good. 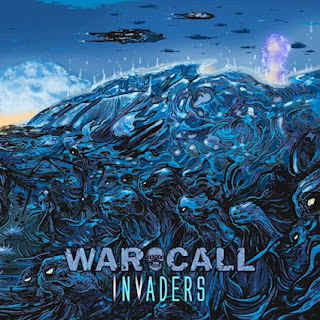 This album does just that-it nails the heaviness, delivers catchy rhythms and as a whole the album even gets better as it goes along. There isn't a great deal of flash as is the case with a number of current acts who try focus on an older sound. However, it doesn't need that because the material that is here is so strongly crafted that fans on classic style metal are in for a real treat. If there is one problem it's just that the vocals while adequate for the most part there are moments where I wish had a little more range to elevate the songs even more. Hey, Mr. Capitalicide is already handling all of the other duties at a high level so it's hard to be great at everything. Really a powerful outing that has me hoping this one man act dispenses with the singles and gets into another full length effort soon.